If you have been thinking of going into the nursing profession then you should do thorough research into the profession in order to make an informed decision as to if and what you would like to specialize in. Make sure you gather all the information you will need in order to decide if becoming a Psychiatric Mental Health Nurse may be a specialty in which you may be interested. Psychiatric mental health nursing has been around since the end of the 19th century when it was realized that mentally ill patients needed specialized nursing. Since then the profession has come along way and today psychiatric-mental health content is built into all diploma and baccalaureate nursing programs. What Is A Psychiatric Mental Health Nurse? A Mental Health Nurse is a specialist nurse that provides service to the mentally ill or distressed patients. Psychiatric mental health nursing is one of the most demanding and most complex of nursing disciplines. Their scope of work is vast as it can include those who are distressed or depressed from a personal life-crisis such as the loss of a loved one, those who have been excluded from services because of alcohol or drug abuse, and those dealing with a vast range of conditions such as personality disorders, psychoses, psychological disorders, and neuroses. Psychiatric Nurses are required to have at least an associate degree in Nursing (ADN) and licensure as a registered nurse (RN) from their state board of nursing. A Mental Health Nurse is an integral member of the mental health team and performs very important tasks that help with the diagnosis, treatment and re-integration into society of mentally-challenged patients. This is the basic level of psychiatric nursing which is generally characterized by interventions that promote and foster good health. The Mental Health Nurse focuses on psychiatric-mental health clients, preventive management of a therapeutic environment; assisting client with self-care activities; health teaching, including psycho-education; health promotion; crisis intervention; the administering and monitoring of psychobiological treatment regimens; and counselling and case management. Perform intake assessments on clients/patients, develop a plan of care for them, implement the nursing process, and evaluate the patient to ascertain the effectiveness of the treatment. They also care for the patients and ensure that all their needs are met. They generally meet with the family of the patient and assist with communication between the patient, family and physician. They have daily face-to-face one on one counselling sessions with their patients and also run group therapy sessions. Psychiatric-Mental Health Clinical Nurse Specialists or Psychiatric Nurse Practitioners are RNs who have obtained a masters or doctoral degree. After completing the requisite supervised clinical practice hours after obtaining their Master’s, they can apply for certification as specialists in child, adolescent or adult psychiatric-mental health nursing. Their aim is to improve both the mental and physical health of the patient, and to this end they provide a full range of primary mental health care services to individuals, families, communities and various groups. 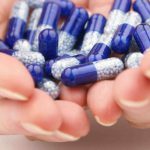 They have more responsibility, function as psychotherapists, and can diagnose and order any treatment that they feel will impact positively on the patient’s future health, including prescribing psychiatric medications. They require an extensive background in substance abuse counselling in order to deal with those who attempt to self-medicate with drugs or alcohol. These nurses work in various settings, such as community health care centers, day hospitals and outpatients department or specialist units, local, state, and federal mental health agencies, nursing homes, and in family practice. Other settings in which these dedicated nurses may work are private practice, primary care offices, the military, prisons/jails, home health agencies, or behavioral care companies/HMO. A Mental Health Nurse in advanced practice is qualified to practice independently, which means that they can offer direct-care services to private individuals, hospitals, offices, communities, agencies, and businesses. Some psychiatric mental health clinical nurse specialists have their own consultation/liaison practice, and they deliver mental health services to patients who are physically ill as well as consult personnel in general medical settings. Psychiatric mental health nurses have a broad background in biological, pharmacological, sociological, and psychological sciences, and therefore are a rich resource for those requiring their services. As with all nursing careers, the demand for Psychiatric Nurses is expected to increase in the coming years with the reported shortage of all disciplines of registered nurses, according to the U.S. Bureau of Labor. Psychiatric mental health nurses perform a very challenging job, and as such there are very specific requirements for those wishing to enter into the mental health nursing profession. An interest in working with people, specifically helping them. A compassionate nature and a willingness to help those who most of society has turned their backs on. A desire to help individuals to develop their people-skills so that they can integrate seamlessly into society. Patience and a willingness to assist the patient to regain the ability to do simple things that we all take for granted, such as taking a bus or train, shopping, or cooking a meal so that they can function independently. Mental health nurses also need to be good team-players as they will generally work in partnership with a full mental health team, consisting of psychologists, psychiatrists, social workers, physiotherapists, occupational therapists, and various others involved in the treatment of the person in mental distress in order to facilitate their full recovery, social inclusion and comfort. Psychiatric Nurses must be able to meet the physical demands of a job in which their patients may often be disoriented, uncooperative or aggressive. An Associate Degree in Nursing will allow you to enter into the profession of Psychiatric Nursing, and many nurses choose to only go this far with their studies and are happy with their choice. A Bachelor of Science in Nursing or a Master of Science in Nursing with a specialty in Psychiatric and Mental Health Nursing, however, will provide you far more opportunities for advancement. A generalist Psychiatric Mental Health Nurse generally holds either a Bachelor of Science in Nursing, an Associate Degree or a Diploma. An advanced PMH nurse has obtained either a Masters or Doctoral degree, is certified by the American Nurses Credentialing Center and holds an advanced practice license from the state in which he or she practices. 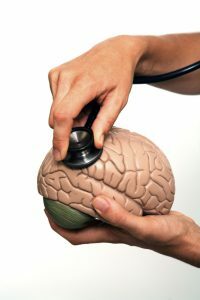 A Psychiatric Nurse Practitioner generally takes six years to qualify; four years in an undergraduate nursing program and then two years in a practitioner master’s program that includes psychiatric nursing. In order to gain licensure to practice as a Mental Health Nurse, you will need to pass the National Council Licensure Examination to earn state licensure as a registered nurse. You can also obtain specialty certification in Psychiatric and Mental Health Nursing from the American Nurses Credentialing Center. In order to become a PMHN you will require a high school education or GED with the appropriate subjects and grades required to apply to a nursing program; the requirements differ from program to program, so it is best to contact the institution at which you wish to study for specific details. You will also need an Associate of Science degree or Bachelor of Science degree in nursing and a license to practice as a Registered Nurse. Most nursing programs contain some psychiatric training these days, and you can elect to specialize in mental health. Mental Health Nursing is a field in which you can start off as a basic nurse and advance as far as you wish to go, finally culminating in a doctorate if you so wish. Once you have worked as an RN for a while or have your Bachelor of Science in Nursing, you can enter a Psychiatric Mental Health Nurse Practitioner program. A Bachelor’s Degree in Nursing – these programs last for four years and those wishing to become Advanced Practice Registered Nurses must obtain this degree in order to study further and attain a Masters or Doctorate. Some schools offer bachelor’s degree or RN programs that lead into master’s-level classes in psychiatric health, which means that you can get started on the mental health track from the start. Before making a decision as to which program to enroll in, you should ensure that the school is reputable and registered and that the program is accredited. All good programs will be accredited by the National League for Nursing Accrediting Commission, Inc and/or the Commission on Collegiate Nursing Education, which means that the institution conforms to the requirements of high quality nursing standards. Psychiatric or Mental Health Nurse Practitioners are required to complete NLNAC or CCNE accredited programs, so if your college or program is not accredited, you will not be accepted for psychiatric or mental health nurse practitioner certification by the American Nurses Credentialing Center. Associate of Science in Mental Health degree programs are often available through the health sciences, human services, or social services departments of community colleges and universities. These programs are designed to introduce you to the field of mental health studies and the core courses cover common mental illnesses, group and family interactions, and basic counseling methods. Some of the programs allow the student to pick a specialization whilst others are geared towards specific careers in mental health treatment, rehabilitation technology, gerontology, substance abuse treatment or child services. Those studying to become a Psychiatric Mental Health Nurse are often required to complete internships at rehabilitation centers, clinics, or other mental health facilities. Graduates of an associate’s degree program in mental health generally go on to earn a BA, Masters or Doctorate. In addition to graduating from an accredited program, you will need to obtain licensure in order to practice. To do this you will have to sit for and pass the NCLEX exam. You may also have to satisfy additional requirements depending on the state in which you wish to practice. 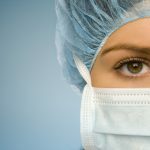 Because of the shortage of qualified and registered nurses and the lack of space to accommodate sufficient students to satisfy the demand, colleges and universities have created some very innovative, reputable and accredited online courses that allow students to study in their own time and while still working. The Psychiatric Mental Health Nurse Practitioner specialty program will allow you to take all courses online and complete your clinicals near to your own community. 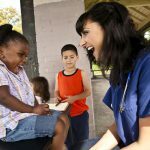 These programs are helping to prepare culturally diverse nurse practitioners to provide culturally competent primary health care and mental health care to individuals who require it. Some colleges may require you to attend an on-campus orientation session, and a preceptor for the clinical portion, but the rest is done online via modern online educational delivery systems such as Blackboard, and via online course materials, discussion forums, libraries, chat-rooms and more. If you are interested in doing an online PMHN program, find out if your preferred college or university offers one, or do some research on the Internet to find an accredited and reputable school that does. The job outlook for a PMHN is very good! According to the U.S. Labor Bureau there is a dire shortage of qualified, registered nursing staff, and this includes mental health nurses. 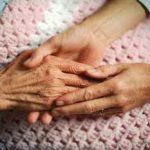 Due to the baby-boomer population now reaching an advanced age, there is a growing need for nurses, and gerontological-PMHN nurses are often called in to deal with the elderly suffering from depression or conditions such as Dementia, Alzheimer’s and Stroke. The more qualified you are the better your job outlook. 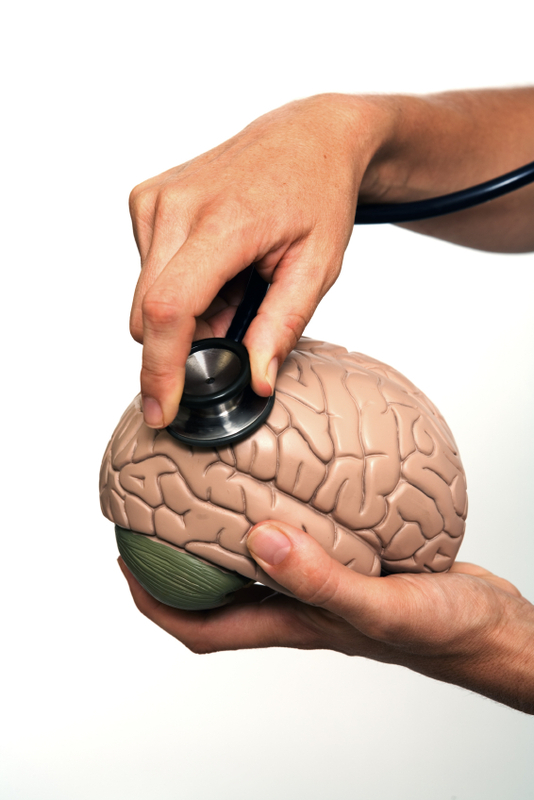 A Mental Health Nurse – basic (RN) level earns an average salary of $25,000-$47,000 per annum. A Mental Health Nurse- advanced (APRN-PMH) level earns an average salary of $60,000-$80,000 per annum. A with most professions, the scale of pay depends on various factors, including the years of experience and level of education, and the size of the business, agency or hospital.